After a recent attack and/or outage at Boonex some members have said that they had difficulty accessing their Dolphin 7 Administration panel. 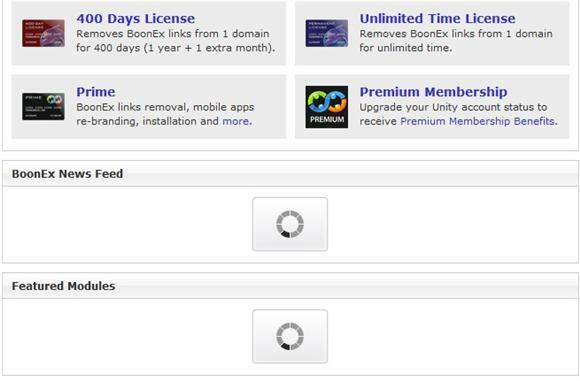 A common reason for this is if or when Boonex servers are down your Dolphin 7 Administration panel is still trying to access the Boonex site for the latest News and other RSS feeds. Your web browser will continue to contact Boonex for these feeds and news until it finally gives up or times out. As a result of this it could make accessing and navigating your administration area seem slow or sluggish. And, since a number of pages inside your Dolphin 7 Administration have Boonex rss feeds you might continue to notice this from one page to another. I have never had a very slow experience in Dolphin 7 Administration as a result of this, but it's possible some people do. They are spinning disks because it is trying to contact Boonex for the latest News and Featured Modules. Since Boonex is either down or having problems with their feeds you see the spinning disks. If this is the case it can slow down your Dolphin 7 Administration slightly. 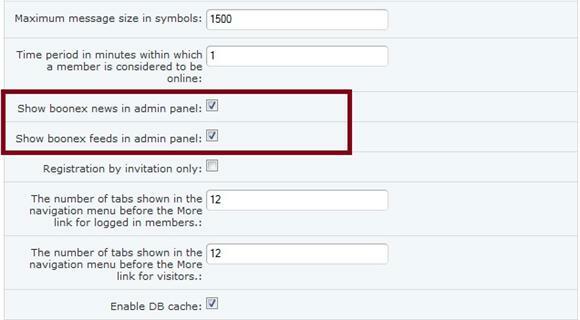 What you can do is turn off or disable the Boonex News and Boonex Feeds in your Administration Panel. Then, in the center of the screen find "Other" and open and expand it using the little arrow on the right. 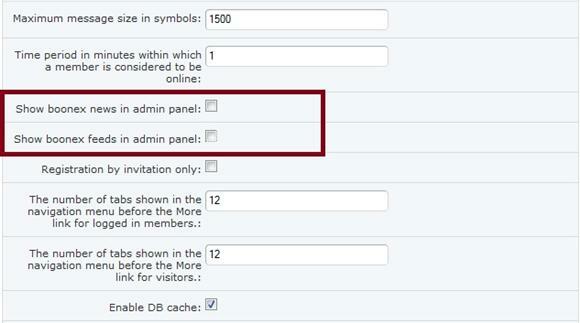 Uncheck both of these boxes to turn them off or disable them in your Dolphin 7 Administration. Then, be sure to scroll down to the bottom of the page and click on "Save" to update and save the changes. If there are any other pages in your Dolphin 7 Administration Panel that contain links or images that are hosted on Boonex servers they could potentially be removed by manually editing the associated pages. But, unchecking the two above settings should take care of most of them and could help speed up your Dolphin 7 Administration experience in the event Boonex happens to be down or having server or connection problems. Screen shots are from current Dolphin 7.0.6 at the time of this posting.